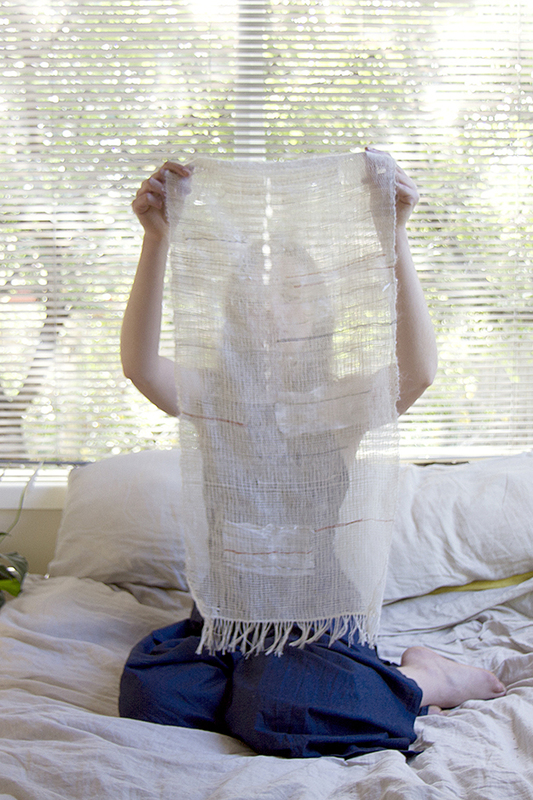 Alice Minna Honman is an emerging Melbourne-based textile designer and artist. Alice has an intuitive, mindful approach to making and hopes to create work that is timeless and thoughtful. A Slow Movement enthusiast, Alice believes design should promote social, cultural and environmental sustainability. Alice is fascinated by human interaction with textiles through engagement of the senses and the beauty found in simplicity. Alice is drawn to the endless possibilities of the woven form, and the juxtaposition of the precision and patience it demands; meshed with an organic process. She loves natural fibres, soft colour palettes and subtle details. Alice paints with instinctive, hand-rendered mark making and has a childlike illustrative style that embraces imperfections. Alice is starting her journey as an artist, and is excited to explore and expand her creative practice through making, collaborating and conceptual research.